Summer is over which made me realized how time flew so fast! Fall is here and winter will eventually drop by then another new year will come in. 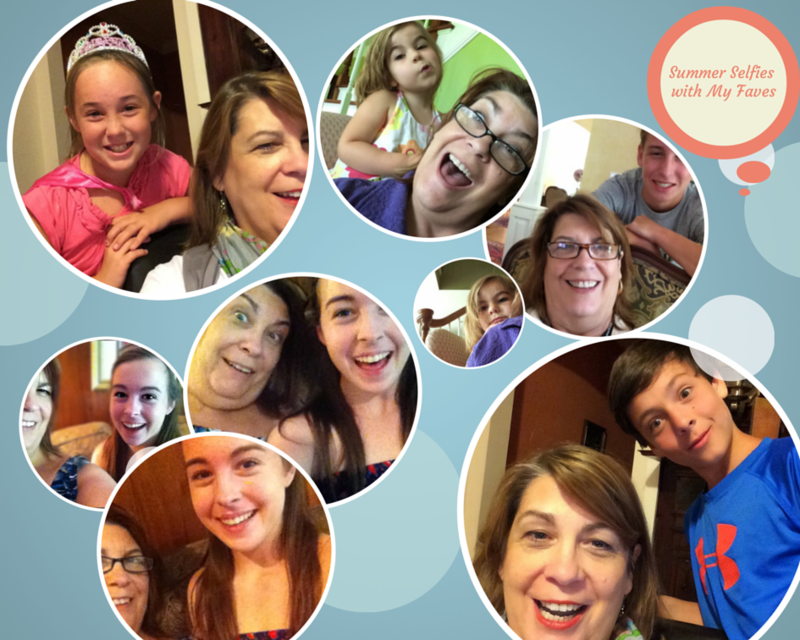 Because I had a wonderful summer with my grandchildren this year, I decided to share with the world some of our summer selfies. I never tire of spending time and making happy memories. Here are some of our photos.. The kids insisted that we had to look goofy and as you can see, that did not seem to be a problem! Its always fun to see the faces they come up with – even the little one had a ton of funny faces to make. Just because this baby boomer can’t get enough of taking summer selfies, I’ve made a short video of our summer selfie photos. Enjoy!